Secret santa a fun festive activity Vs. White elephant a funny take on holiday gifts! ‘Tis the season to spread holiday cheer! As the holidays approach, there are many fun activities one can partake in throughout the month of December. Gift-giving activities such as Secret Santa and White Elephant are especially popular this time of year. These two activities are sure to make your holly-jolly party one for the books. 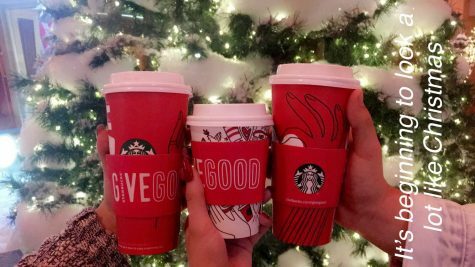 Starbucks is a great gift for a coffee lover! Get your Secret Santa a cup or gift card! Secret Santa is a way to spread holiday cheer anonymously. To participate, you write down your name and wishlist and place it in a bowl of names along with all of the other people who wish to participate. Once you’ve drawn out a name, it is your duty to get them a special gift from their wishlist. This is a fun party activity—especially if you choose someone you have never considered giving a gift to before. Secret Santa is a great way to spread holiday cheer and not have to worry about getting the person a gift they would not like. “Secret Santa is such a fun activity to do for Christmas! I love surprising whoever I get with stuff on their wishlists, the smiles on their faces make my day. Just seeing their reactions is the best part of doing this,” junior Nelsa Tejada said. Christmas themed socks are the best gifts ever! These socks work great for White Elephant, especially if they’re funny and themed! White elephant is a funny twist on your typical Secret Santa. 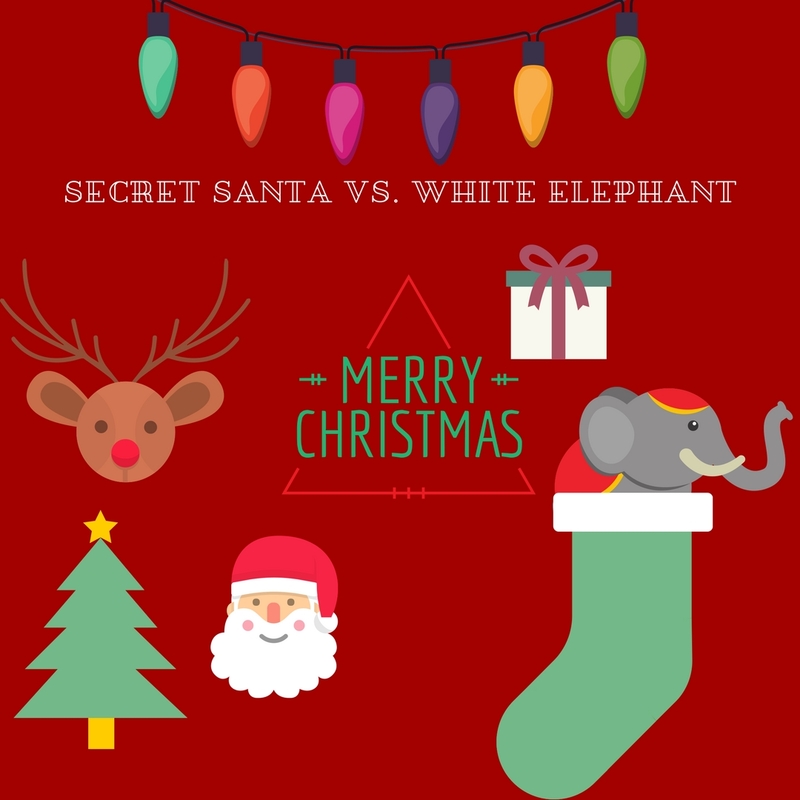 The game of white elephant consists of gifts you would not normally get during Secret Santa, such as gag gifts or other “useless” items. White elephant is more about having fun than actually giving gifts. White elephant is a fun and great activity to have during your holiday party. White elephant is a gift exchange for those with a good sense of humor and who can laugh and accept the worst of gifts. “I prefer White Elephant over Secret Santa just because I give my friends gag gifts. 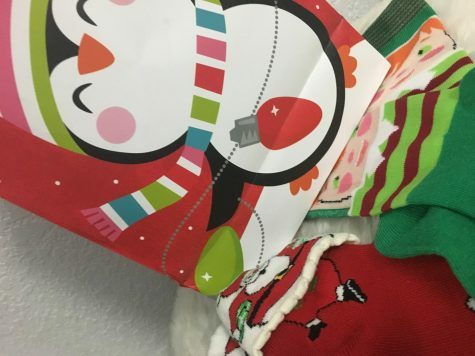 It’s so funny watching the looks on their faces when I give them useless gifts that I know they won’t ever use,” sophomore Alejandro Vento said. Whether it’s Secret Santa or White Elephant, your holiday season will surely be fun. In the end, it is important to not forget that the holidays are about spending time with loved ones. However, these activities are sure to make this bonding time fun and bring smiles to your loved ones’ faces. So get your eggnog ready and pull out the gift boxes—the holidays just got way better.